During my last long-leg flight home from Eastern Europe, compounded in duration by first having to travel on a short hop to a gateway city (and as any seasoned traveler knows, it's not the flight itself that is the bummer, it's the getting to the airport so much earlier, the waits, the on-the-plane-off-the-plane-and-the-change-the-plane ritual and so on), I took on board my customary homemade travel kit, something that is de rigueur, particularly when I am stuck flying "steerage." To wit: Some kind of water to spray on my face, hand/face cream or moisturizer, lip balm, and hand sanitizer. (That is the stuff the TSA will eyeball in the see-through plastic bag, but then I also have the stuff they don't care about in another kit, including my on-board sockettes, my "good" earphones, my eye shades, my neck pillow and so on. Never has the phrase "road warrior" meant so much. We are armed for battle with the ether up there at 35,000 feet. Although I was traveling in business class, the air was no more moist up front than it was in the back, and so I kept applying and reapplying something emollient to my face and hands. 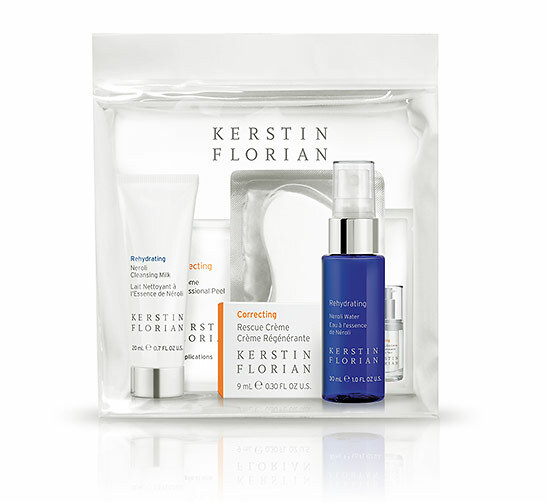 Of course, there is a better way and Kerstin Florian has come up with it, in its Winter Rescue Kit. It's an ideal accessory to take on the road, and of course, everything in it is sized to meet TSA standards. You can also add (as I am going to do tomorrow, for another long-haul flight), sanitizer and my favorite lip balm. The company has put in other things that I usually do not take on a plane, but which are perfect for revitalizing skin after a harsh, moisture-less flight. So, amen to the Florian people. 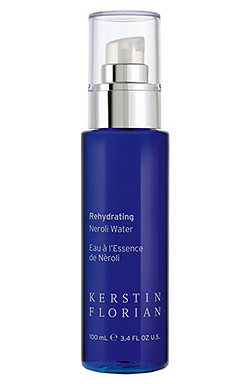 The Neroli Water is a bitter-orange-blossom mist, which refreshes and sooths the skin. There is a Neroli Cleansing Milk which contains pure neroli oil, apricot oil, green tea, and aloe vera and is a suitable wake-me-up that helps oxygenate skin. I try to fly sans maquillage, but when I have had to board a plane from an afternoon of meetings that required makeup, then the first thing I do is take that makeup off. So, this is the ideal cleanser to tuck into your 9-1-1 kit. And for an on-plane wake-up after a lousy night's sleep, it's also supreme. Once I land, I try to use the At Home Peel Pad Sachet, a pre-moistened pad soaked in a four-acid complex that blends botanical enzymes to revitalize the skin and encourage cellular turnover. After a night on a plane, my skin needs a lot of that encouragement. 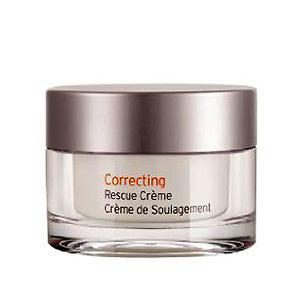 The Rescue Crème protects skin from environmental stresses, harsh elements, and dry conditions, and nothing is dryer than the atmosphere inside that silver flying bullet. The cream adds a sealant to ensure that the natural moisture barrier on your face is engaged; it is loaded with Vitamin E, apricot oil, and shea butter, among other reassuring ingredients, all geared to improve the production of collagen. The last items in the kit are the Eye Rescue Pads and the Brightening Eye Cream, both geared to reducing the visible signs of enervating travel; the algae-rich concentrate lifts, plumps, and smooths the skin. Since the kit comes in a nifty see-through travel pouch, I add my lip balm and sanitizer, and I am good to go and do not need to put it all in another TSA-sanctioned baggie. The kit retails for $42.50 and is available at fine spas and on line.